Sir Ronald Storrs was Governor of Cyprus between November 1926 and October 1932 and, on taking office, was shocked to learn that no aeroplane or seaplane had arrived in Cyprus since the end of WW1. 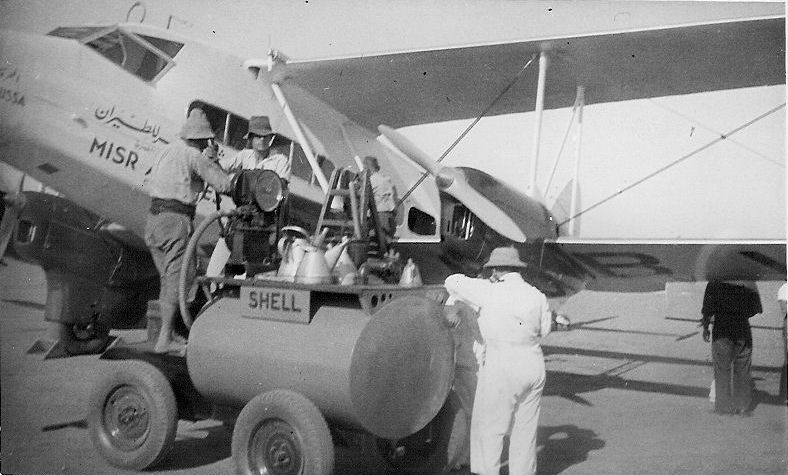 In 1927 he began lobbying Imperial Airways to substitute Nicosia for Alexandria as one of their refuelling stops on their Eastern Route and established an emer­gency landing ground outside Nicosia. Sir Ronald rapidly became the 'air' bore to the Colonial Office and the 'Cyprus' bore to the Air Ministry and Imperial Airways. His lobbying and other plans came to very little but the rudimentary landing facilities outside Nicosia were improved slightly. Pilots were warned that although there was the luxury of a telephone at the airfield, the landing ground could only be used if notice of arrival was given in advance. Additionally, during very wet weather the airfield was liable to flooding and was frequently unusable. The Cyprus Gazette dated 17th April 1930 reported on the success of an RAF inspection. This inspection appears to have included a visit by two RAF aircraft from Palestine and Egypt on the 30th March 1930. 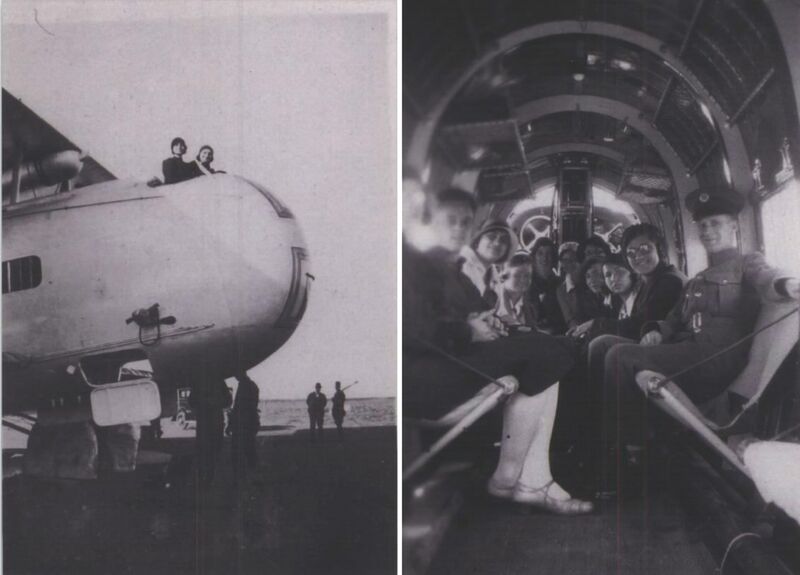 The RAF appear to have been very accommodating in giving good public access to these "marvellous flying machines"
The use of Nicosia as a waypoint for Imperial Airways is somewhat uncertain. An extract from the Cyprus Gazette dated 16th October 1931 appears quite promising. However, the history of Imperial Airways indicates that the service was operated using Short S17 Kent flying boats and that they landed at Limassol. There is no evidence (as yet) that the aircraft flew over Nicosia and that letters were "dropped". One of the first visitors to Nicosia in early 1932 was a Sikorsky S-38 flying boat. This 8-seater American aircraft was known as the "Explorer's Air Yacht" and just over 100 were built. The owner of this particular aircraft (named "Silver Wings") was Margery Durant who conceived a plan to popularize private air travel by touring Europe, the Middle East and Africa by air. 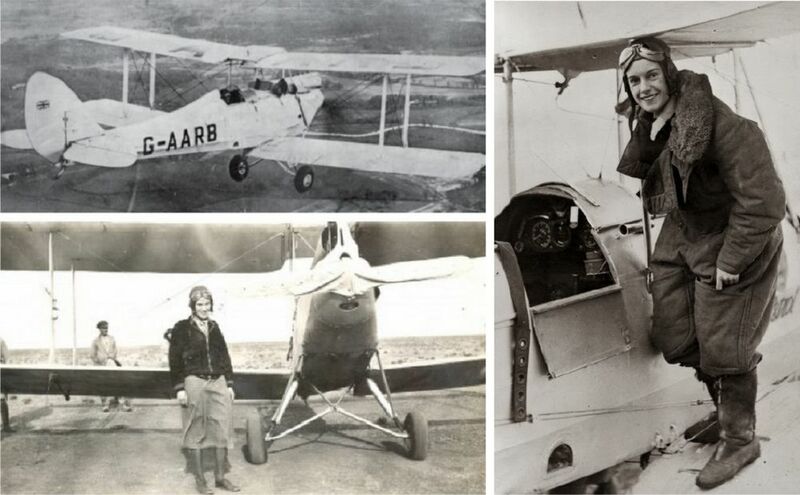 In May 1934, Jean Batten, the record-breaking New Zealander, landed at Nicosia. She took the opportunity to refuel her Gypsy Moth (G-AARB) on her solo journey from England to Australia. “Seven hours out from Athens, a faint smudge on the horizon resolved itself into the island of Cyprus...…crossing the limestone hills of Kyrenia I flew inland over the large plain of Mesaoria, which looked dry and parched for want of rain. 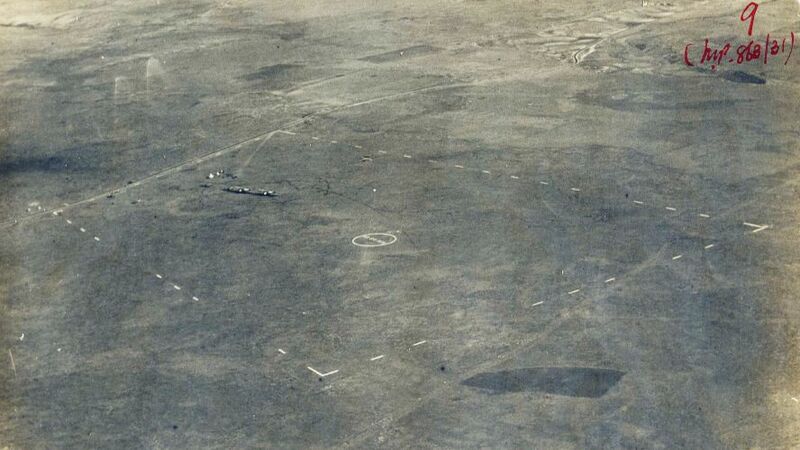 A close up of the landing ground showing the corner markers and circle. 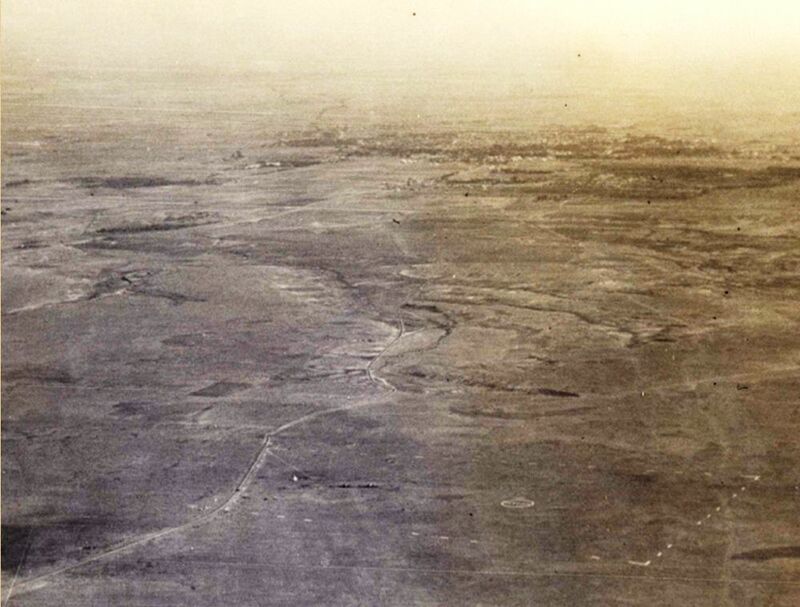 In March and April 1935 the Government planned to establish two new landing grounds at Paphos and Larnaca at the expense of developing Nicosia. The first stage of the process was the aquisition of suitable land. 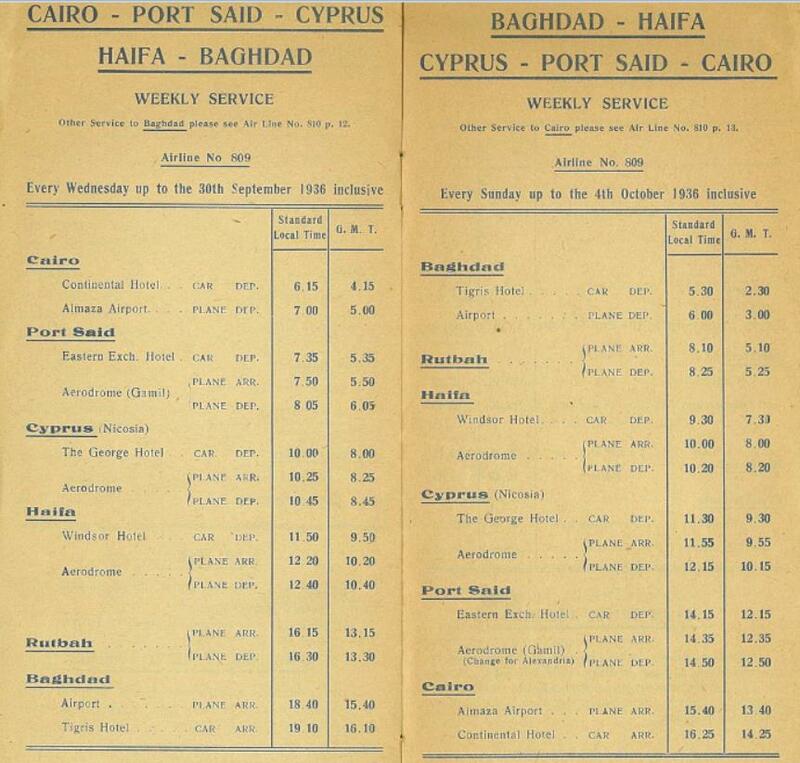 In the autumn of 1935 Misr Airworks began to operated a trial service between Cairo and Nicosia via Lydda. 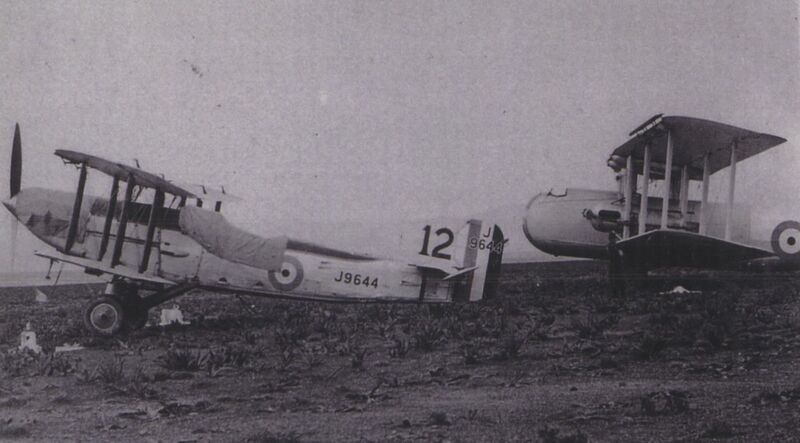 The photographs show SU-ABV, a DH.86 of Misr Airworks at the Nicosia landing ground. An interesting service available to passengers! By 1938. with the demise of Nicosia as a commercial destination, the approach of WW2 was the catalyst for significant development at Nicosia. This process began in October 1939 with a series of major infastructure projects.